Café Natilee offers delicious, healthy cuisine made to order using fresh, high-quality ingredients. Visit our beautiful setting and enjoy over a dozen delicious green and grain salads, 100% grass-fed beef and bison burgers, our house-roasted turkey, chicken and Angus roast beef sandwiches, delectable seasonal fruit and vegetables, made to order pasta dishes, and so much more! 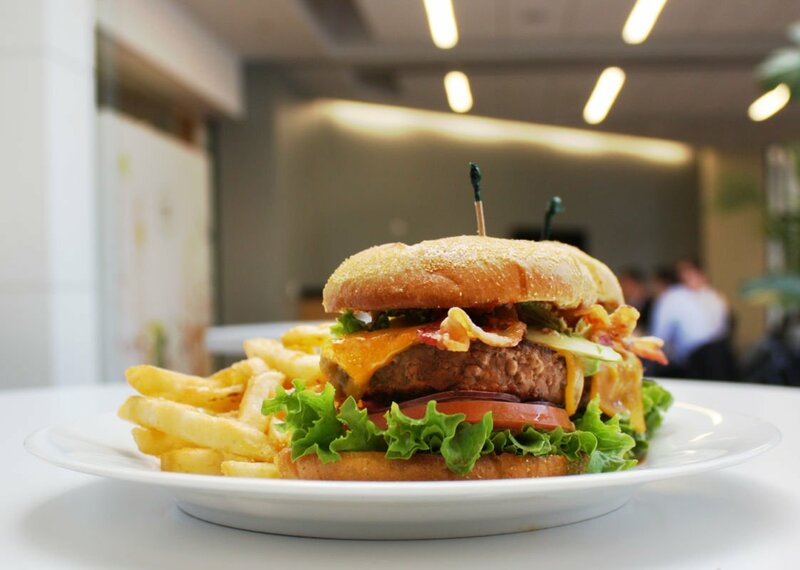 100% grass-fed and finished beef and bison burgers, house-roasted turkey, chicken and Angus roast beef sandwiches, traditional deli sandwiches and so much more! Triple hand-washed salads and greens. 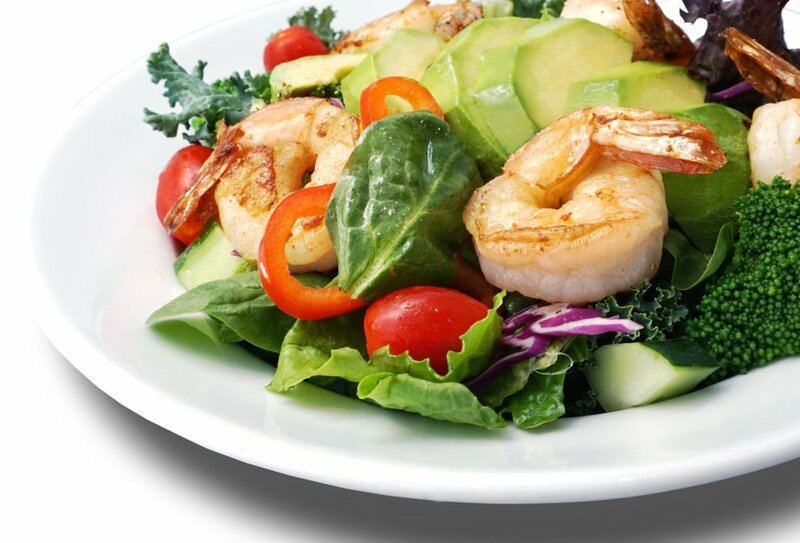 Enjoy over a dozen delicious green or grain salads alone or with chicken, turkey, salmon, shrimp, scallops, tuna or chicken salad. Superb coffee doesn’t come by accident. We use coffee beans from Vigilante Coffee Company in our La Marzucco espresso machine and coffee machines. Marriott hotel & the office building. through office building and the hotel. Our 100% grass fed and finished bison is sourced directly from Wild Idea Buffalo Company in South Dakota. We also offer grass fed beef and Angus beef hamburgers. Our house-roasted turkey is succulent and moist. Triple Hand Washed Fresh Salad. Daily triple hand washed fresh salads. Enjoy over a dozen delicious green and grain salads. We are nestled in the Hub next to the Fairview Park Marriott Hotel with convenient free garage parking.